Every year a travel expo is organized for travelers who would like to enjoy rebates, low travel rates and other good deals on hotels, airlines, and resorts. On it's 24th year, Travel Tour Expo 2017 - the biggest travel sale ever is happening on February 10 to 12 at the SMX Convention Center, Mall of Asia in Pasay City. One of the participants is the Hotel 101 Group, offering special vouchers for sale, which can be used in any of the hotels under the group, specifically in Hotel 101 – Manila, Injap Tower Hotel in Iloilo City, Jinjiang Inn – Ortigas, Jinjiang Inn – Makati, and the recently acquired quaint boutique hotel, Milflores de Boracay. 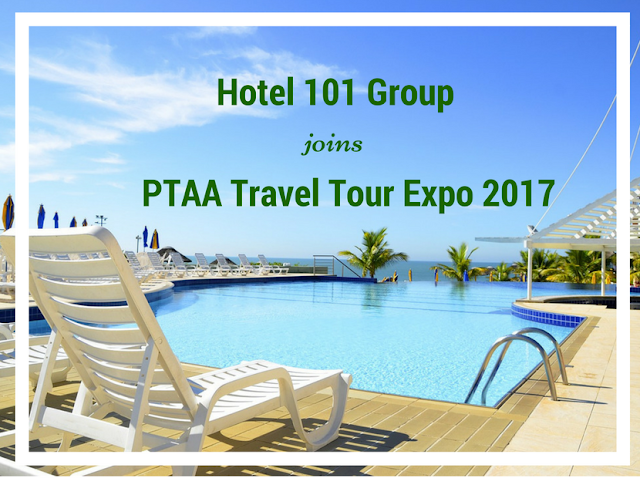 Up to more than 50% discount on an overnight stay with breakfast or two (2) persons at Php 3,000 per voucher are available only during the PTAA Travel Tour Expo 2017. Hotel 101 – Manila and Injap Tower Hotel in Iloilo City are both homegrown brands targeting travelers who prefer a comfortable and convenient stay, near the international airports, malls, food establishments and businesses in the city centers. Jinjiang Inn – Ortigas and Jinjiang Inn – Makati are both under the franchised hotel brand from China, Jinjiang Inn, which offers business travelers a respite in the busy Ortigas and Makati business districts. With its business boutique accommodation, guests can enjoy the well thought of comforts in the room and the hotel, such as the mini-bar, strong Wi-Fi, and housekeeping services. For bookings and inquiries, head over to the Hotel 101 Group’s booths no 97 and 98 at the 2nd floor of the SMX Convention Center in the Mall of Asia from February 10 to 12, 2017.